Face it, you only remember them because they are bad. Simply: The Cubs are followed nationwide and are considered interesting because they have been bad for so long. If they win a World Series and then go back to being bad, then they are the new Florida Marlins, and (aside from the tragedy of Jose Fernandez) nobody cares about the Florida Marlins. If the Cubs win the World Series, baseball loses the “lovable underdog” that it’s had for the last 40 years. Because let’s be honest, it wasn’t until the proper advent of cable and satellite television in the late 1970’s and early ‘80’s that made the Cubs “The Cubs.” Before then, they were just bad. WTBS in Atlanta was the most proactive as they were run by a forward-thinking mega-rich young whippersnapper (that’s what I call anybody under the age of 30 who owns a yacht) named Ted Turner. He saw that cable television could do for him what franchising quick-service restaurants did for Ray Kroc and began offering his station to fledgling cable companies. 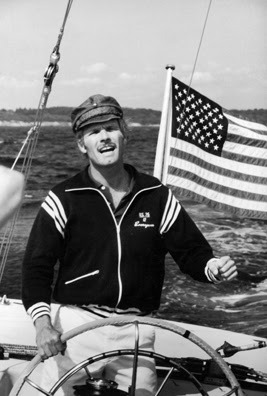 Ted Turner, young. On a yacht. That he owned. Even though WTBS showed mostly Andy Griffith re-runs and Atlanta Braves games (because he also owned the team), cable systems around the country desperate to have different options than what people got over-the-air took up Teddy boy on his offer. Soon WTBS was broadcast from Atlanta to Anchorage and all points in-between. Housewives in Alaska became Dale Murphy fans. Turner was then able to package his new crazy idea, a 24-hour cable news channel, along with WTBS, and his media empire continued to grow. As the Cubs radio network was already pretty expansive around the Midwest, the Tribune Company- who owned the Cubs and WGN (and thus WGN showed lots of Cubs games)- followed Turner’s lead but concentrated on putting WGN in markets that already were Cubs radio affiliates. But cable systems outside of the Midwest also took WGN, and because Wrigley Field looked so good in the daytime, the Cubs attracted more than just baseball fans, but people who longed for the nostalgic ballpark experience. Not everybody in America can be a mega-winner, and so the Cubs resonated as a team to follow, to hope for breakthroughs. They played in an old, nostalgic ballpark and played baseball the way everybody did when they were kids, in the daytime, and they weren’t very good, and people from North Bend, Oregon to Biscayne Bay, Florida, could watch them and cheer for the underdog. 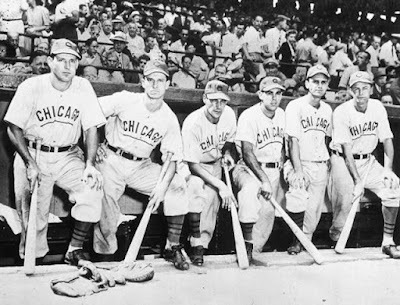 People who struggled in their own lives looked to the Cubs as a sports team they could relate to, and perhaps more importantly, as a sports team that could relate to them. 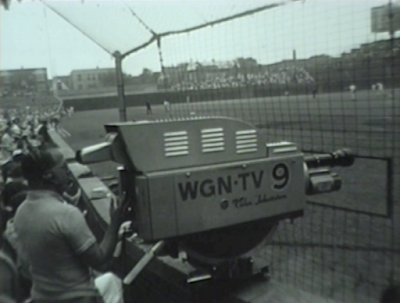 The Cubs not having lights wasn’t a real problem until TV networks began running the MLB schedule, not the teams, or their “superstations.” The networks began demanding that nearly all baseball games were broadcast at night. Up through the mid 80’s, all teams played dozens of weekday day games a year, not just a handful. The Cubs ceding to demand (and the increased revenue) by becoming the last ballpark to add lights, in 1988, made them just another team who could play at night. The Cubs playing in a ballpark built in 1914 wasn’t a cause for nostalgia until the “great retro-ballpark revolution” because before that happened there were five ballparks built before World War Two that were still being used- Fenway Park, Tiger Stadium, Wrigley Field, Yankee Stadium and the original Comiskey Stadium on the South Side of Chicago. When that was demolished and replaced in the early-90’s by the last cookie-cutter stadium, Wrigley Field became the oldest ballpark in Chicago and grew in stature nationwide as a symbol of nostalgia (there’s that word again). The Cubs not having won a pennant since 1945 was a big deal, but three other teams were right there with them when it came to World Series futility- the Red Sox, the Indians, and the Giants. When Cleveland won the pennant in 1995, that snapped their 41-year drought and magnified the Cubs streak. When Boston broke their curse in 2004, that magnified the Cubs streak. When the Giants won their first San Francisco World Series in 2010, that pinpointed the Cubs streak even more. And if the Cubs win the World Series? Then they’re just another rich team that plays at night and bought their way to a championship. The Cubs have had lights for more than a quarter-century now, and their day baseball games have dwindled. There are now just two ballparks left built before World War Two, and the third-oldest park is now Dodger Stadium, built in 1962. 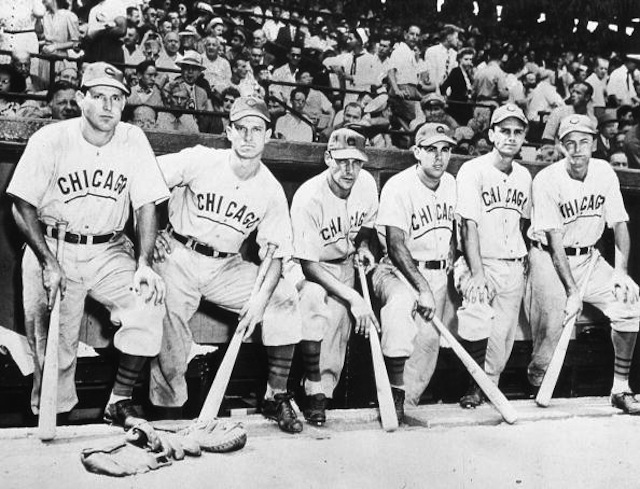 The Cubs are the only team that hasn’t won a World Series since before World War Two. Hell, they haven’t won since before World War One. If they win, then the only thing is the ballpark. And that ballpark has never seen a World Series Championship. You may say the Cubs mystique will never die, but what happened to the Boston Red Sox after their 2004 World Series victory? They’re just another one of the “haves” now, and all the history they had for not winning- The Curse of the Bambino, Ted Williams, Denny Galehouse, Carl Yastrzemski, Bucky Bleeping Dent, Bill Buckner, Aaron Bleeping Boone… is fading away. The Sox are just another team, and Red Sox Nation is as hated just like any other fan base that’s won a World Series in the last decade. Same for the San Francisco Giants, who went winless in the World Series for 56 years. After winning three titles in five years, now they’re just another team. The Cubs are popular because they haven’t won a World Series since Teddy Roosevelt was president. If they win, then the Indians will be the team that’s gone the longest without winning the World Series, and that “only” 68 years. The “loveable underdog” label for the Cubs will be gone, and gone forever. Is that something you really want to see? Because you then won’t ever look at them the same again, even if you watch them on WGN.